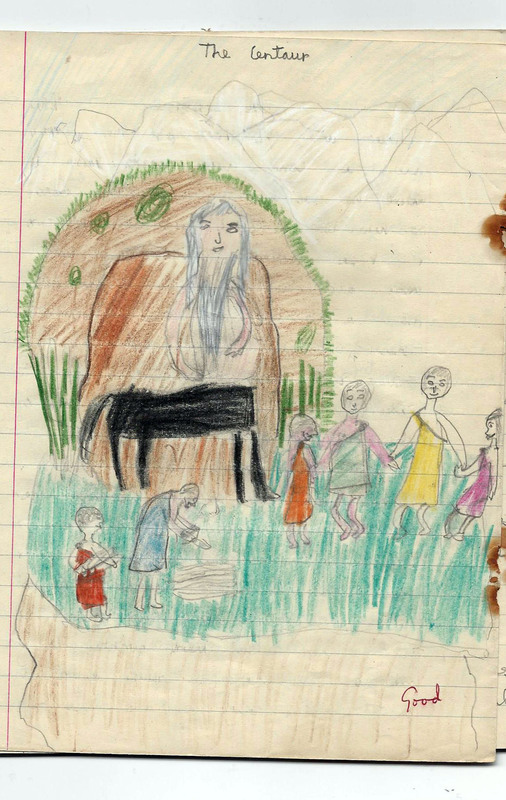 Aw sweet – is this one of your old drawings Sarah? I once played a Centaur in a school play of the Lion, the Witch and the Wardrobe! Yes, it is one of my old drawings from when I was eight. Oooo, Andrea, I never got exciting parts like that in a school play. Lucky you. Have you any photos of you as a centaur? Early start 🙂 It is so wonderful you keep the drawings.